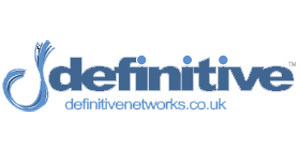 Definitive Networks are a leading provider of innovative network solutions. We Design, Install and Manage IP Networks for a diverse range of customers across a variety of sectors which include: Construction, Call Centres, Motor Dealerships, Estate Agents, Transport and Warehousing to name but a few. We specialise in IT Support Management, Security and Multi-site Networking and our experience extends to CCTV and also VoIP Telephony solutions.